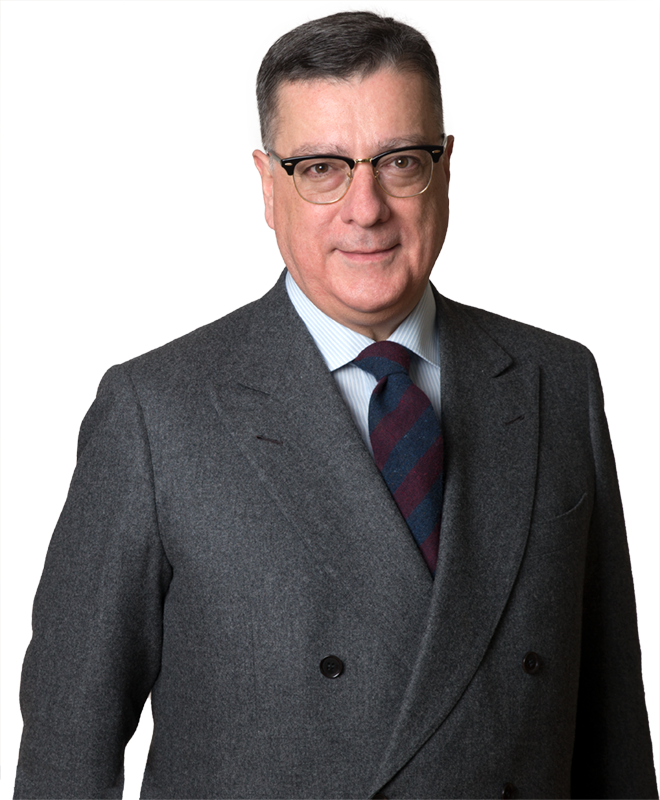 Guido Callegari is the leading partner of the employment and pension practice of De Berti Jacchia Franchini Forlani. Beside labour and employment law, his professional background encompasses a wide experience of corporate law and M&A, as well as of litigation in the commercial and labour areas of law up to the Italian Supreme Courts. In recent years, he has focussed his activities on advising multinational and national group on the legal aspects of the management of their human resources, undertaking the responsibility of several operations of reorganisation of the business and activities of the Clients, including the activation of mass redundancy processes and the resort to the social relief contemplated by the law. He has regularly represented the Clients before the Employment Authorities and the Trade Unions in the framework of their industrial relations, as well as in Court. He has assisted Clients of, amongst others, the air-conditioning, automotive, aviation, betting, beverage packaging, chemical, components of marine engines, electronic and electromechanical components, energy, fashion and luxury, furniture, garment retail, healthcare medical and dental supplies, inflight catering services, machine tools, micro-fibres, oenology, pharmaceutical, pet care, polymers, publishing, semiconductors, silicon rubber and ventilation industries. Guido is an author of legal publications and articles and a frequent speaker at seminars and conferences. He has engaged in teaching activities at the School for the Legal Professions of the Milan State University and at the Master for In-house Counsels of the Genoa University, as well as at independent legal education schools. He is regularly mentioned by international and national legal directories for the employment and labour law practice, including Legal500, TopLegal’s Labour Law Market Report and Legalcommunity Labour Report. He is a member of IBA – International Bar Association’s Employment and Industrial Relations and Discrimination Law Committees and of AGI – The Italian Employment Lawyers Association, as well as of the Labour and Employment Law Group of ASLA, the Italian Associated Law Firm Association. Advised an Italian group leader in the supply and sale of gas on the employment and labour law aspects of the merger of two companies of the Group including: advice on the consultation with the Trade Union for the purposes of the transfer of undertaking legislation, on the harmonization of the terms and conditions of employment of the employees of the two companies, and on the termination and replacement of former collective agreements at a company level. Advised and assisted a world leader in automated fare collection (AFC) for city transit systems in all phases of the redundancy of two long-term employees. Assisting a French group part of a leading global provider of onboard products and services, in employment and labour law aspects of the termination of the service agreement with a flag carrier for the supply of inflight catering services, including: the transfer of n.17 employees; the concertation with the Trade Unions for the employees to be made redundant and the activation of loss of employment shock absorbers and social relief contemplated by the Italian legislation. Advised and assisted one of US leading labour and employment law firms for Italian employment and labour law aspects of the acquisition of a worldwide leader in the design and manufacture of microcontrollers, capacitive touch solutions, advanced logic, mixed-signal, non-volatile memory and radio frequency (RF) components, by a leading provider of microcontroller and analog semiconductors, including: definition of a new standard employment contract for the Italian employees of the Group, harmonization of the salaries of the Italian employees of the Group, consultation with the Trade Unions for the merger of the Italian subsidiaries. Successfully concluded a set of lawsuits brought against a multinational group specialised in dental products and services around the world before the Labour Court of Milan by some forty employees of the company claiming the payment of increases of salary contemplated by the applicable collective bargaining employment agreement. The Court finally set the principle that the increases at issue are not to be paid to those employees whose salaries are higher than the minimum one set by the applicable collective bargaining agreement. The successful conclusion of these cases resulted in a material saving for the client in terms of hundreds of thousands of euros of personnel costs. Drafting a policy for the use of social media by the employees of a multinational group. Assisted and advised a multinational group in connection with the reorganization of the workforce of two companies of the Group following, among other things, the introduction of SAP, including the termination of the employment of some 14 employees of both companies for redundancy, and the conversion of the contracts of 5 self-employed commercial agents into employment contracts. Assisting and advising a leading world manufacturer and distributor of wine products, in connection with litigation against its former General Manager and Managing Director who was dismissed/revoked for gross misconduct. CALLEGARI G. – BASILICO I. Does the ECJ Uber ruling stand alone, or will it have an impact over the employment relationships of the so- called gig-economy? CALLEGARI G. – ROMA G. – BASILICO I.
CALLEGARI G. – ROMA G.
CALLEGARI G. – ROMA G. – AZZURRO M.